It's Worth The Wait | Backcountry Lodges of B.C. It's Worth The Wait | Backcountry Lodges of B.C. 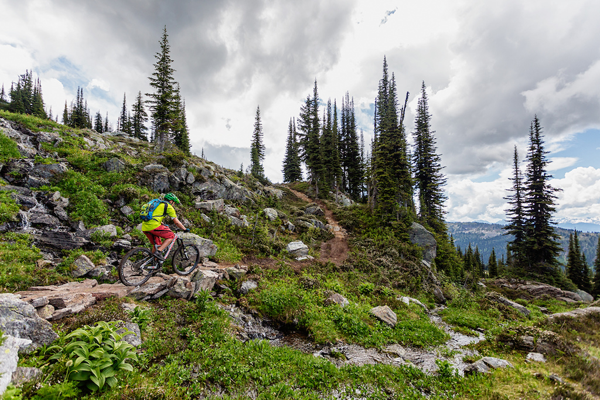 Riding BC’s alpine singletrack is the coveted jewel of all mountain riding – but its not great all of the time. In the area surrounding Revelstoke, there are trails at Frisby Ridge, Keystone, Mt. Cartier, Joss Mountain, Sol Mountain Lodge, and more. For the past couple years, low snowpacks and early summer melts have allowed early access to alpine riding. Mountain bikers may have accepted this to be the norm – rather than the historical mid to late July alpine openings. After a dry summer, last September BC received a deluge of precipitation. 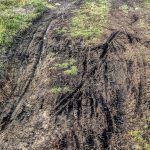 No trail builder could have prepared for such an onslaught and the subsequent saturation of the alpine tundra. 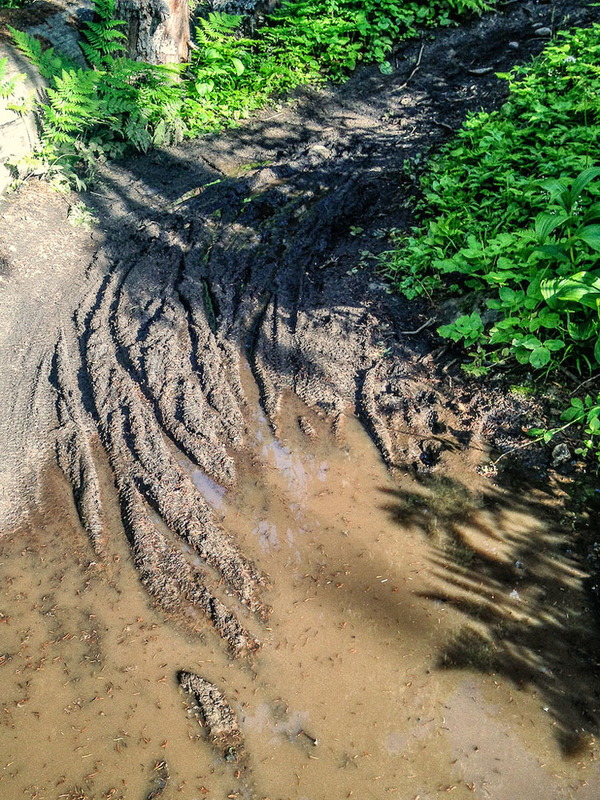 At Sol Mountain, some sections of our trails began to look more like ponds and streams than mountain bike trails. 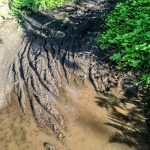 Standing water and thick mud littered the trails. 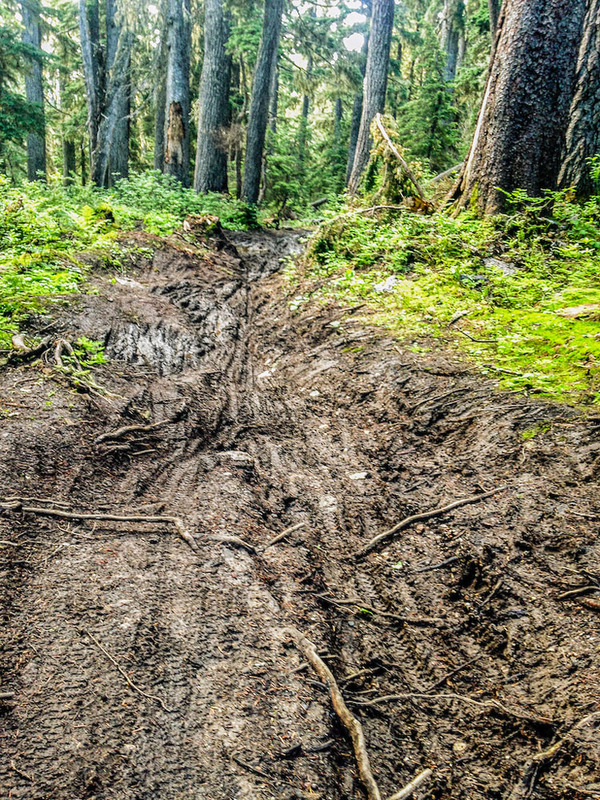 Closer to Revelstoke, the Frisby ridge trail was in a similar state. 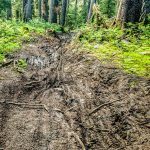 Above images: Trail damage on the Frisby Ridge trail due to riding in poor weather conditions. Despite the unseasonal wet conditions bikers continued to ride popular alpine trails like Frisby Ridge. 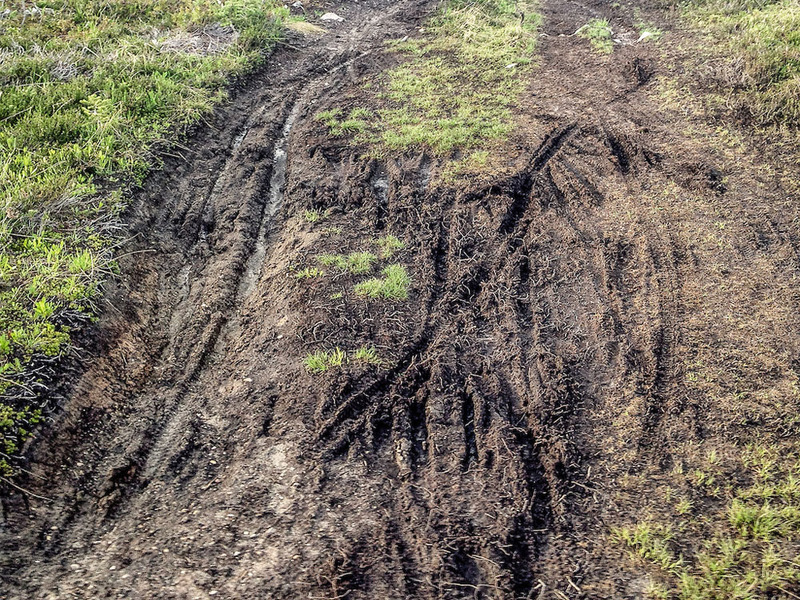 In addition, riders dodged the puddles instead of riding through them, widening the singletrack and creating a mess. Things at Sol were similar, but due to our remote nature, we see much less traffic which saved our trails from irreparable damage. Frisby wasn’t so lucky and is now closed for 2016 while they upgrade the trail. From this recent experience there are some valuable lessons we can all learn. For trail updates and more, check out Sol Mountain Lodge on Facebook.